My daughter is 8, but she passionately enjoys hands-on science, and I mean really hands-on. She was in paradise when we did our next 5 minute science project and explored non-newtonian fluid that is known as goop or oobleck. My 8 year old daughter falls into a “sensory seeker” category when it comes to sensory experiences, especially in her desire for tickles, cuddles, and touch. 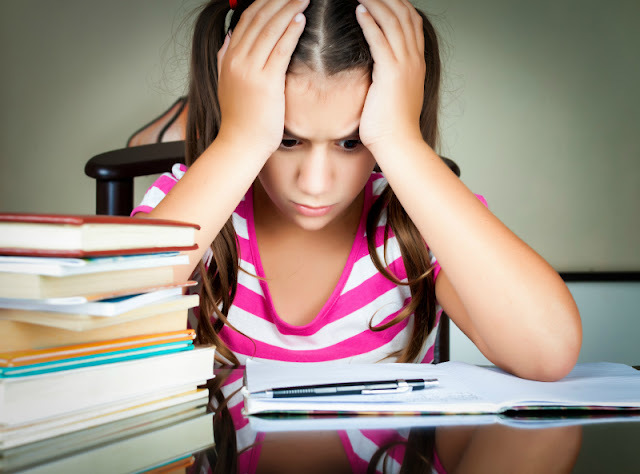 I wrote an article about it last year – Sensory Needs of Regular Kids. She usually enjoys things that are really “hands-on”, but she was complaining to me that she didn’t enjoy a papier-mâché experience in her science Camp Galileo where they needed to dump paper into a sticky mixture and then plaster it over plastic eggs. She was actually quite retrospective about it saying, “We, big kids, need sensory stuff too! I still love running my fingers through rice and flour, and I thought that I will love playing with papier-mache, but it was too sticky”. Then she looked at me with her big blue eyes and said, “We didn’t do oobleck for a while. Can we do it? Pleeease?” While we couldn’t do messy oobleck right that minute, I promised that we will would time, especially since it fit neatly into our current chemistry science theme at home. Oobleck is amazing in its ability to react in an unexpected way to pressure, but it’s not the only non-newtonian fluid out there. Have you ever considered why ketchup is so hard to pour? What is even more mind-boggling that even though anyone can whip up a batch of oobleck in 2 minutes at home, scientists still don’t understand fully how it works. What Can You Do with Oobleck? Add color – we went with patriotic red and blue, since we did our oobleck on the morning of US Independence Day. Discuss why oobleck didn’t become purple, but turned light pink. Describe how oobleck feels like. Do “magic” by lifting the bowl with oobleck from inside the bowl. This is what Smarty is doing in the picture above, but it’s a bit hard to see that the bowl is not on the table. Discuss properties of oobleck – there is no chemical reaction happening while making it. Oobleck is a suspension where particles of starch are suspended in water. Same applies to ketchup where particles of tomatoes are suspended in liquid. Make oobleck dance – Smarty actually knew of this experiment, but we knew that our Papa will never agree to that. See if a bouncing ball can bounce off oobleck. Apparently, it can if it falls from a relatively high point. We couldn’t make ours bounce though. See if you can protect an egg by floating it in oobleck (this is still on our “to do list”. See if you can freeze oobleck. Despite the obvious messiness of oobleck, clean up process is relatively painless. We only had a little of oobleck left in a bowl, and I had it thoroughly mixed with water before draining it. Do not put large amounts of oobleck mixture into a drain, it can clog it! I let the rest dry into a very crumbly mixture and then scraped it into a garbage bin. Amazingly, my 8 year old managed to keep her clothes clean. How do you move from science play to science investigation? I really enjoy all your science activities! oobleck is a great way to explore and I would never have thought about it's non-Newtonian properties. These activities looks so fun! Thanks for sharing! I have a 16 year old who still enjoys oobleck and silly putty type exploration whenever she can get her hands on it. We bought an Art Ball at Christmas for less messy, color and sensory play - all the children like it. So excited to have found your blog... 5 Minute Science is great! I love the girls to get hands on but sometimes time is a limiting factor!! Not any more! Thankyou for sharing. 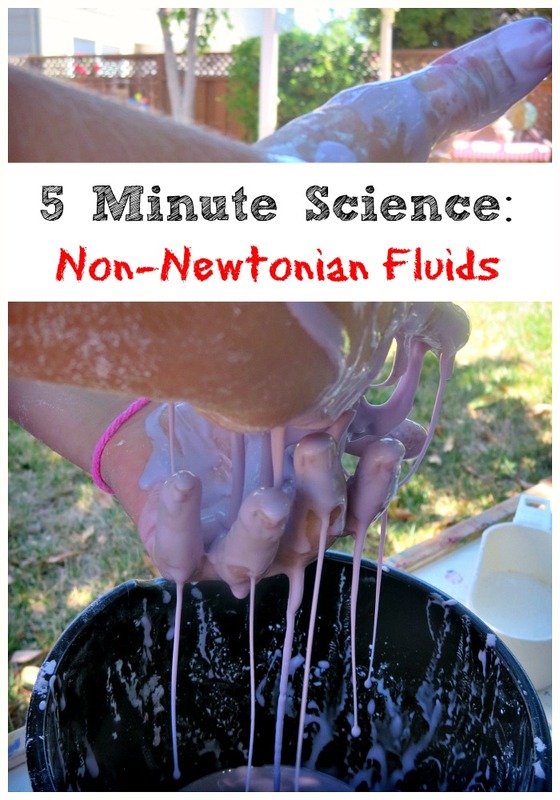 This is a great post on Non-newtonian fluids! Our kids love this - great science & great play too! Thank you for joining in with #WeLoveWeekends last week. Your post has been featured via Witty Hoots on this week's We Love Weekends! Thank you again for sharing and hope to see you joining in again soon!